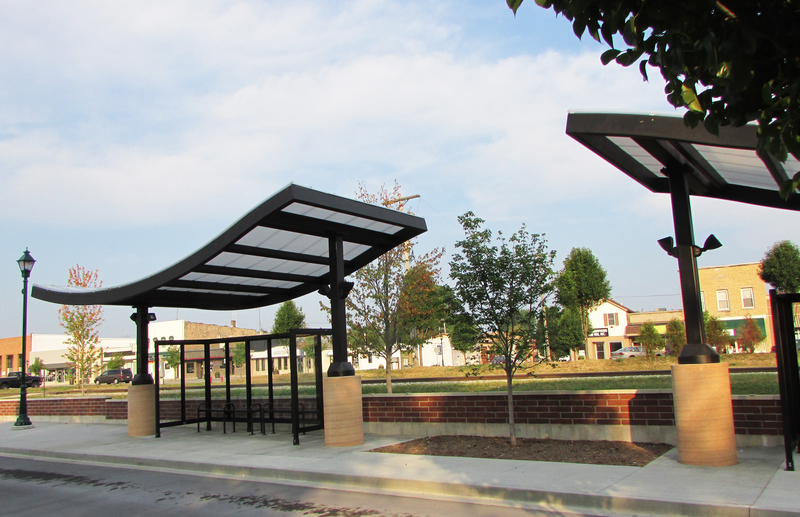 Today Manteno is home to Sears and KMart distribution centers, both major employers. The city is connected to surrounding suburbs and the Chicago metro area via mass transit system. And if you want to catch the bus into Chi Town, you’ll end up at the Manteno Metro Center. 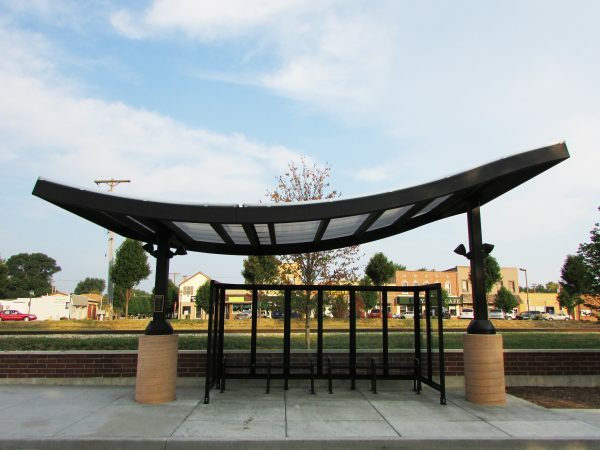 To make your wait more comfortable, you’ll be able to sit or stand under two translucent canopies. 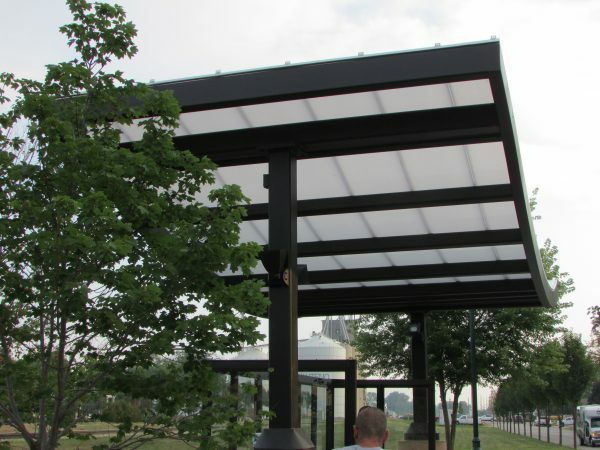 The canopies provided by Crystal Structures are 13′ wide and just over 32′ long with a multi radius configuration giving a bit of oriental flair. 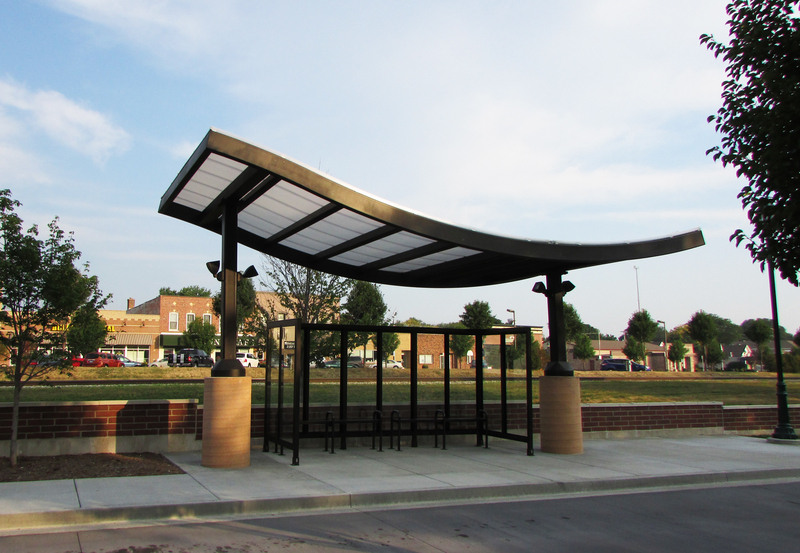 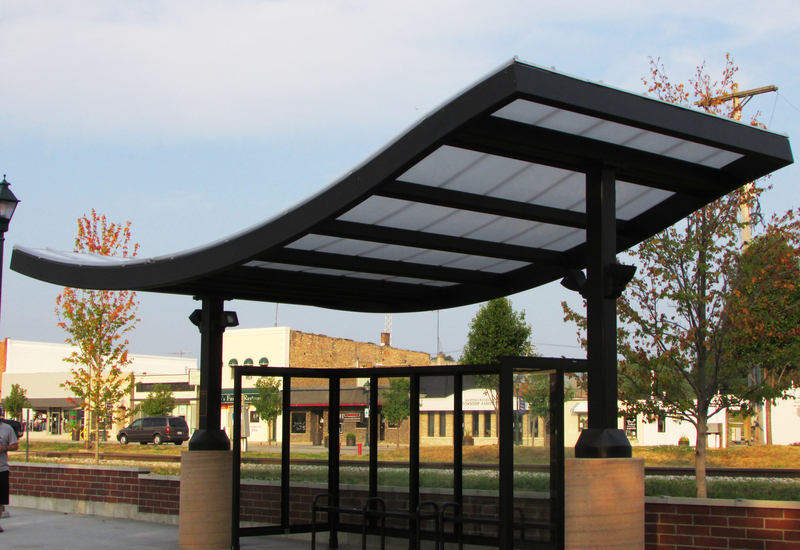 Learn more about our canopy systems here.